Lepidolite Gemstone Necklace - Bring benevolence and positive energy with You! 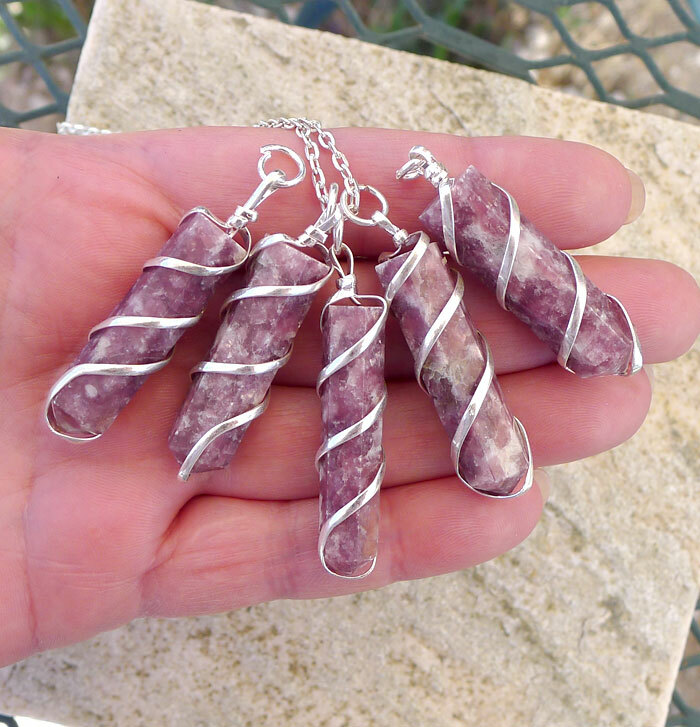 The Gem of Emotional Balance, Stress Relief and Calm -- Spiral Wire Wrapped Lepidolite Necklace -- Natural Lepidolite Gemstone Single-Terminated Gemstone Points wrapped to create Lovely Pendants. Also very useful as a Portable Pendulum! 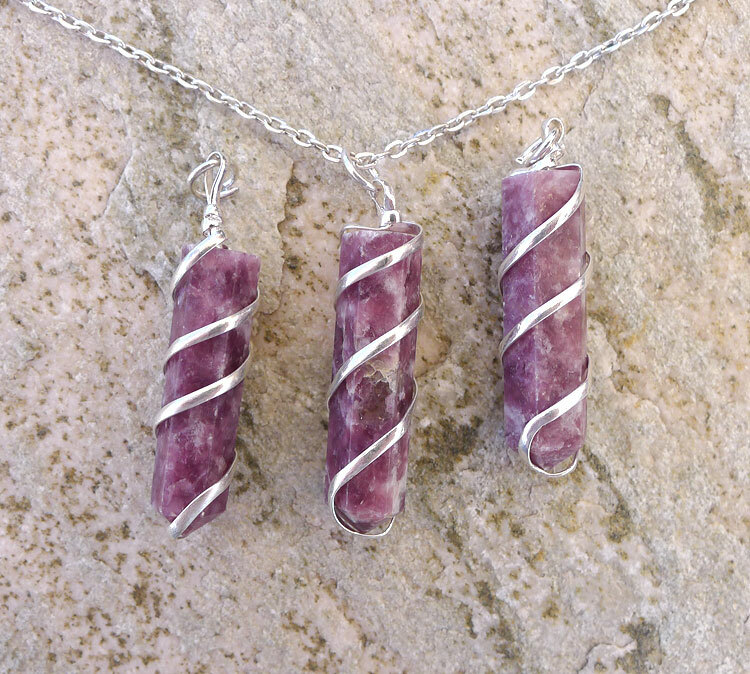 These Wire-Wrapped Natural Lepidolite Pendants come on your Customized Choice of Necklace Chain Length - 18" or 24". Each Lepidolite is Unique because the stones used are all natural and not man-made. Each Lepidolite Point is at least 30mm (over 1-inch) long to over 35mm long x 10mm to 12mm wide. Overall they measure approximately 1-1/2" to over 2" bailed. Silver plated necklace chain closes with a Lobster Clasp Closure. You will receive (1) One Wrapped Lepidolite Necklace or Pendant -- photos show examples.